A man yesterday defaced Jeff Koons retrospective at the Whitney Museum by splattering what appeared to be red paint on a wall at the exhibition. The vandal is Canadian performance artist Istvan Kantor. Kantor was taken by police to New York Hospital for a psych evaluation but released shortly after without being charged. On his release Kantor posted online: "I just came out of mental hospital where the police took me after the Whitney." "I was discharged I am free... now I go out for a drink in the lower east side." He threw the paint on the wall beside Koons' Rabbit (1986), an inflatable vinyl and one of the artist's most iconic pieces. Kantor signed his vandalism with a pseudonym before he was escorted out of the museum by security. The museum has released this statement: "An isolated act of vandalism occurred this afternoon at the Whitney Museum of American Art involving a blank gallery wall on the third floor of the Jeff Koons exhibition." "No artwork was affected or damaged in any way. Guards quickly apprehended the individual responsible. The police were called and they removed the individual from the museum." It has been reported Kantor tried to deface another Koons sculpture in Berlin. He attempted to squeeze a capsule of blood onto the artist's Michael Jackson and Bubbles sculpture in the Hamburger Bahnhof gallery in 2004. 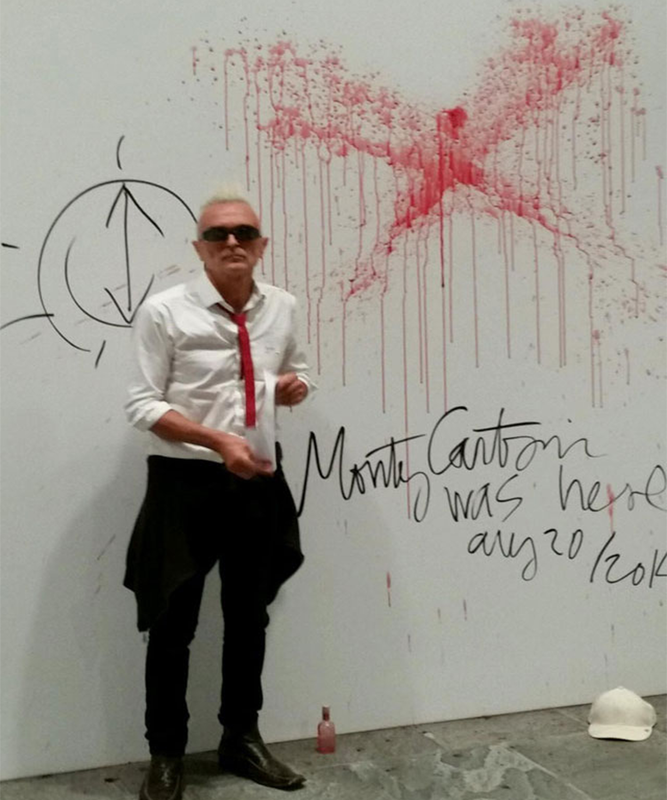 Kantor told Japan Times in 2005 that his "blood campaign" is an ongoing art project. "My art was always anti-establishment and anti-institutional. I consider my criminal activities the most creative part of my work."